If either major political party in American politics cared an iota about limiting executive power—and preventing the abuses that inevitably spring from such nearly unlimited power—Thursday’s release of a redacted version of Special Council Robert Mueller’s report would probably be the end of the Trump presidency. Whether that end came via impeachment or through a Nixonesque forced resignation following a collapse of public and congressional support, it doesn’t really matter. In a normal political environment, the Mueller report would have been a damning, un-survivable bombshell for the administration—even without the special counsel finding evidence of collusion with Russia or choosing to bring charges of obstruction. Instead, Trump will survive Mueller’s report (and has even declared victory) in the same way he survived every other major scandal—from the Access Hollywood tape to Stormy Daniels—of his short political career. He’ll survive because partisan interests dictate that he must, and partisanship now rules everything. “If we had confidence after a thorough investigation of the facts that the President clearly did not commit obstruction of justice, we would so state,” the report says. Lacking that exonerating information, Mueller kicked the question of whether Trump committed obstruction—and therefore the corollary question of whether he should be impeached—to Congress. That’s the right thing to do, given that Department of Justice precedent states a sitting president cannot be charged with crimes and that impeachment is a fundamentally political, not legal, process. What will Congress do with the Mueller report? Likely not much, beyond fundraising off of it. Republicans have already circled the wagons around Trump. “If Bob Mueller in two-and-a-half years of investigation—which includes both the FBI and special prosecutor’s time—doesn’t bring charges, I don’t know how much longer we need to be talking about collusion and obstruction,” Rep. Mark Meadows (R–N.C. ), chairman of the House Freedom Caucus and one of Trump’s closest congressional allies, told Politico. The ranking Republican on the House Oversight Committee, Rep. Jim Jordan (R–Ohio), said the Mueller report’s conclusions meant a “sad chapter of American history is behind us.” Would they be saying anything like that if a Democratic president the subject of Mueller’s report? Meanwhile, House Majority Leader Nancy Pelosi (D–Calif.) has effectively ruled out impeachment. That makes sense too. Democrats have a strong short-term incentive to campaign against a weakened Trump in 2020. But beyond those acute short-term interests, neither party has much of an interest in setting a precedent that could be used to limit presidential power in the future. It’s possible both that Trump did not commit a crime and that he ought to be removed from office, but setting that standard would hang a cloud over every chief executive to come—and both parties desire to wield the power of the presidency more than they fear what the other would do with it. The result: Saving Trump’s presidency makes sense for both parties in Congress, even as it undeniably deals another blow to the legislature’s status as a co-equal branch of government. Intense partisanship and the desire for power, in short, will save the president from the political reckoning he probably deserves. To be fair to Trump, he did not create the current hyper-partisan environment—though he does contribute to it and benefit from it. It’s the same symbiotic relationship, nurtured by the media, that birthed Trump’s presidential aspirations, germinated them into reality, and (if the details of the report are to be believed) guided many of the president’s near-obstruction actions over the past two years. Let’s be clear about the content of the Mueller report: Trump made multiple attempts to obstruct the investigation, only to be stopped from doing so by his own subordinates—often because they ignored or contradicted his explicit orders. “The President’s efforts to influence the investigation were mostly unsuccessful, but that is largely because the persons who surrounded the President declined to carry out orders or accede to his requests,” the report states. In doing so, Trump’s underlings may have saved him (and others in Trump’s inner circle) from prosecution or impeachment. But that does not excuse the actions of the president. In a less toxic political environment, Republicans might admit to themselves that the man residing in the White House often seems unfit for the job—and is clearly unable or unwilling to recognize and respect the constitutional and legal limits of his office. Again, Trump is not to blame for expansive powers granted to the modern presidency. Congress and the White House have worked for decades to build the executive branch into the leviathan that it is today. Impeaching Trump or otherwise forcing him from office would not undo all those mistakes—even though, as Gene Healy has argued persuasively, a more robust use of impeachment over the past 200 years would have improved the nation’s political state, “given how many bastards and clowns we’ve been saddled with over the years.” If only we had a time machine. Allowing Trump to skate would not only add to this legacy of congressional acquiescence to executive misbehavior. It would set the bar so high that no future president would likely ever qualify for removal—or at least we would certainly hope so. The next time a president abuses his or her powers the way Trump has, the country might not be so lucky to have him or her surrounded by aides willing to ignore direct orders. I haven’t read the Mueller report and I don’t plan to any time soon. I don’t feel like I would gain much by sifting through what’s already been widely acknowledged to be 400-plus pages of Rorschach test. The main point of the “Russia probe” was to figure out whether there was any sort of hanky-panky going on between the former (future?) Soviets and the Trump campaign, and we now know that there was not. But of course now the story shifts from dark worries about “collusion” to unrestrained outrage over the president’s ham-fisted attempts to “obstruct justice” by unduly influencing the investigation by lying in public and private, firing key players, leaning on witnesses, or otherwise gumming up the works. I trust my Reason colleagues (Scott Shackford, Peter Suderman, Jacob Sullum, and Eric Boehm), each of whom argues to varying degrees that if President Donald Trump isn’t technically guilty of obstruction, it’s not for lack of trying. It’s mostly because his subordinates either refused to follow his orders or screwed things up while trying to do his bidding. “knowingly and willfully … make any materially false, fictitious, or fraudulent statement or representation” in the course of “any matter within the jurisdiction of the executive, legislative, or judicial branch” of the federal government. The FBI gathers information about a person, finds facts that the person might want to conceal — not because the facts prove a crime but because they are embarrassing for some other reason — then asks about those facts in an interview, on the expectation that the person will lie and thereby incriminate himself. Consider George Papadopoulos. The special counsel secured his guilty plea not for improper contact with the Russians but for lying about that contact to the FBI. Consider Michael Flynn. He too pled guilty not to unlawful contact with Russians but to lying to the FBI about that contact. Consider Scooter Libby, or Martha Stewart, or Dennis Hastert, or James Cartwright, all taken down by the feds not for their alleged original misconduct but for lying about it. Even when catching someone in a lie isn’t enough to force them to plead guilty, it can add charges to a case. Consider Paul Manafort and Richard Gates, charged not just with substantive crimes but with lying to the FBI about them. There is arguably no person on the planet less sympathetic than Donald Trump. He is a reflexive liar, a blowhard, a bully, and the goddamned president of the United States. He should be a better person on all fronts and there’s no doubt that he should set a better example than he does. But when it comes to obstructing justice, at least when there was no underlying crime, he shouldn’t be in any trouble whatsoever. There’s much truth to that formulation, which has been echoed by many of the president’s critics. But there’s a bigger takeaway worth underscoring, one that is vastly more important than Donald Trump who, truth be told, is acting how most presidents have acted in the past and will act in the future. The bigger takeaway is that the federal government exercises vast and nearly unchecked power over virtually every aspect of our lives. As civil libertarian and Three Felonies a Day author Harvey Silverglate has told Reason, there are literally hundreds of thousands of federal regulations under “each of the federal criminal statutes … [and] you’re just assumed to know [them] and you can be picked up and you can be charged and these are real criminal violations.” And if that doesn’t work, the feds can snag you simply by talking to you. Contempt for Donald Trump shouldn’t obscure that brutal reality, which will outlive the Mueller report and probably most of us, too. A good place to start when talking about Christ the Rebel is noting the fact that the reason the Jewish teachers of the law didn’t like Jesus in the first place is that they saw him as a threat to their political power. We can see many examples this throughout the gospels, such as his healing of the man with the withered hand in Mark 3:1-7, or Jesus and his disciples picking grain on the Sabbath to eat in Matthew 12:1-9, which enraged the Pharisees because they viewed it a violation of the law of Moses. Jesus also clearly advocated for a limit on government authority as he noted in his encounter with the Pharisees in which they questioned him about taxes. They tried to trap him into giving an answer which would make the people listening angry and thereby lose his credibility with his followers. He responded to this with the famous phrase “give to Caesar, what is Caesar’s and God what is God’s”. Now, some people would say here that Jesus was advocating for taxes, but it is clear that when you look at the conversation which takes place in Matthew 22, that he is very clearly placing a limit to the authority of government. Libertarians should also be able to appreciate the fact that Christ believed in the superiority of private charity over a welfare state. In fact, you will not find a single place in the Bible or the words of Jesus that supports the existence of a welfare state. Instead, you will find commands that followers of Jesus take care of the poor like the parable of the good Samaritan in Luke 10:25-37, the feeding of the 5,000 in Matthew 14:13-21and the feeding of the 4,000 in Mark 8:1-10. You will also find when James wrote his letter to believers, he says in verse 27 of chapter one that real faith is demonstrated by taking care of the poor, the widows and the orphans. Libertarians will also find in the words of Jesus that he was a man of peace and not an advocate for an unjust war. Although Jesus was definitely not a pacifist by any means, he was a peaceful man and not a warmonger. I mentioned earlier that the Jewish religious leaders who made the case that Jesus should be crucified did so because they saw him as a threat to their power. It should also be mentioned that the reason many Jews rejected him as the Messiah (and still do today) is because they believed the Messiah would be a political revolutionary who would lead a revolt that would overthrow Roman rule and set up a Jewish State. We can see that Jesus repeatedly advocated for peaceful actions as much as possible healing the sick, feeding the hungry and loving those that were most despised in society at the time. Christ frequently said to be kind and loving in your actions with others. We can see this in his instructions in Matthew 5:38-40 to “turn the other cheek” and his blessing to the peacemakers in Matthew 5:9. Jesus later tells his disciple Peter, “he who lives by the sword dies by the sword” after he cuts off the ear of one of the Roman guards who arrested Jesus to take him to be crucified. I have always seen this not as a complete prohibition of violence altogether, but instead that the only justifiable means of violence is in defense of an individual’s life. I once had a conversation with a fellow Christian about the importance of the preservation of natural freedom and why believers should be both informed and involved in the political process. The response I received was something along the lines of, “I don’t care about worldly affairs man, I only care about reaching lost souls for Jesus.” That statement both disgusted and saddened me, but I can’t say I was surprised in the least. I have told other Christians before that I care so much about liberty because Christ died so that I may have ultimate freedom – not just in a spiritual sense, but in a natural one as well. As he said in Luke 4:18, “18 The Spirit of the Lord [is] upon Me, because He has anointed Me [the Anointed One, the Messiah] to preach the good news (the Gospel) to the poor; He has sent Me to announce release to the captives and recovery of sight to the blind, to send forth as delivered those who are oppressed [who are downtrodden, bruised, crushed, and broken down by calamity],” (The Amplified Classic Translation). It is in large part because of my Christian faith that I became a libertarian in the first place. I realized, after studying the modern expressions of political philosophy, that libertarianism was the only one that is completely compatible with Christianity. I took the words of the Apostle Paul very serious when he said, “It is for freedom that Christ has set us free. Stand firm, then, and do not let yourselves be burdened again by a yoke of slavery.” That most assuredly includes the yoke of a tyrannical government! As Christians both here in the United States and around the world … celebrate Jesus’ death and resurrection which makes us spiritually free, may all of faith or non-faith remember and be thankful for Jesus’ contribution to the development of the Western World, which allowed the birth of the great American experiment and modern libertarian thought. Declarations of hope that Notre-Dame can be resurrected have been much in evidence this Holy Week. Such is the lesson of Easter: that life can come from death. Unlike the Eiffel Tower, that other great emblem of Paris, Notre-Dame provides the French with evidence that their modern and secular republic has its foundations deeply rooted in the Middle Ages. Notre-Dame has always been more than just an assemblage of stone and stained glass. It is a monument as well to a specifically Christian past. Last summer, one of the world’s best-known scientists, a man as celebrated for his polemics against religion as for his writings on evolutionary biology, sat in another cathedral, Winchester, in the United Kingdom, listening to the bells peal. ‘So much nicer than the aggressive-sounding “Allahu Akhbar”,’ Richard Dawkins tweeted. ‘Or is that just my cultural upbringing?’ A preference for church bells over the sound of Muslims praising God does not just emerge by magic. Dawkins — agnostic, secularist and humanist that he is — absolutely has the instincts of someone brought up in a Christian civilization. Today, as the flood-tide of western power and influence ebbs, the illusions of European and American liberals risk being left stranded. Much that they have sought to cast as universal stands exposed as never having been anything of the kind. Free-thinkers who mock the very idea of a god as a sky fairy, an imaginary friend, still hold to taboos and morals that palpably derive from Christianity. In 2002, in Amsterdam, the World Humanist Congress affirmed ‘the worth, dignity and autonomy of the individual and the right of every human being to the greatest possible freedom compatible with the rights of others’. Yet this — despite humanists’ stated ambition to provide ‘an alternative to dogmatic religion’ — was nothing if not itself a statement of belief. The humanist assumption that atheism and a concern for human life go together was just that: an assumption. What basis — other than mere sentimentality — was there to argue for it? Perhaps, as the humanist manifesto declared, through ‘the application of the methods of science’. Yet this was barely any less of a myth than the biblical story that God had created humanity in his own image. It is not truth that science offers moralists, but a mirror. Racists identify it with racist values; liberals with liberal values. The primary dogma of humanism — ‘that morality is an intrinsic part of human nature based on understanding and a concern for others’ — finds no more corroboration in science than did the dogma of the Nazis that anyone not fit for life should be exterminated. The wellspring of humanist values lies not in reason, not in evidence-based thinking, but in the past, and specifically in the story of how a cult inspired by the execution of an obscure criminal in a long-vanished empire emerged to become — as the great Jewish scholar Daniel Boyarin has put it — ‘the most powerful of hegemonic cultural systems in the history of the world’. The Easter story lies at the heart of this narrative. Crucifixion, in the opinion of Roman intellectuals, was not a punishment just like any other. It was one peculiarly suited to slaves. To be hung naked, helpless to beat away the clamorous birds, ‘long in agony’, as the philosopher Seneca put it, ‘swelling with ugly weals on shoulder and chest’, was the very worst of fates. Yet in the exposure of the crucified to the public gaze there lurked a paradox. So foul was the carrion-reek of their disgrace that many felt tainted even by viewing a crucifixion. Certainly, few cared to think about it in any detail. Order, the order loved by the gods and upheld by magistrates vested with the full authority of the greatest power on earth, was what counted — not the elimination of such vermin as presumed to challenge it. Some deaths were so vile, so squalid, that it was best to draw a veil across them entirely. The utter strangeness of all this, for the vast majority of people in the Roman world, did not lie in the notion that a mortal might become divine. The border between the heavenly and the earthly was widely held to be permeable. Divinity, however, was for the very greatest of the great: for victors, and heroes, and kings. Its measure was the power to torture one’s enemies, not to suffer it oneself. Even Christians, in the early years of the cult, might flinch at staring the manner of Jesus’s death full in the face. They were as wise to the connotations of crucifixion as anyone. Paul, the most successful and influential of early missionaries, readily described Christ’s execution as a ‘scandal’. The shame of it was long felt. Only centuries after the death of Jesus did his crucifixion at last start to emerge as an acceptable theme for artists. By 400 ad the cross was ceasing to be viewed as something shameful. Banned as a punishment decades earlier by Constantine, the first Christian emperor, crucifixion had come to serve the Roman people as an emblem of triumph over sin and death. An artist, carving the scene out of ivory, might represent Jesus in the skimpy loincloth of an athlete. Far from looking broken, he would be shown as no less muscled, no less ripped than any of the ancient gods. Familiarity with the Easter story has desensitized us to what both Paul and Nietzsche, in their very different ways, instinctively recognized in it: a scandal. The cross, that ancient tool of imperial power, remains what it has always been: the fitting symbol of a transfiguration in the affairs of humanity as profound and far-reaching as any in history. ‘God chose the weak things of the world to shame the strong.’ It is the audacity of it — the audacity of finding in a twisted and defeated corpse the glory of the creator of the universe — that serves to explain, more surely than anything else, the sheer strangeness of Christianity, and of the civilization to which it gave birth. Today, the power of this strangeness remains as alive as it has ever been. It is manifest in the great surge of conversions that has swept Africa and Asia over the past century; in the conviction of millions upon millions that the breath of the Spirit, like a living fire, still blows upon the world; and, in Europe and North America, in the assumptions of many more millions who would never think to describe themselves as Christian. All are heirs to the same revolution: a revolution that has, at its molten heart, the image of a god dead upon an implement of torture. Absolutely heartbreaking. A magnificent monument to Western civilization collapsing. Now, I have no problem with quibbles (and neither does Ben) from Catholics who point out that Notre Dame was a monument to the glory of God and what Catholics believe to be the One True Church as delineated in the Nicene Creed. But, I doubt any of those Catholics took offense at what Ben said. And if they did, they should probably lighten up. I’d also point out that Cathedrals were the space programs of their day (“The Knights Templar were the first Space Force”: Discuss). Cities and nations constantly competed to see who could build the tallest Cathedral — which is why most are built on the tallest ground available. The idea was both theological and political. Theologically, the idea was to get as close to God as possible. Politically, it was a desire for, well, national greatness. Anyway, what I have a huge problem with is the bonfire of asininity that ignited from people who think “Western civilization” is a term reserved solely for the alt-right and other bigots (David French addressed the point well here). In a piece about Ben’s excellent book on Western civilization — I’ll reserve my quibbles for later — The Economist labeled him an “alt-right sage” and a “pop idol of the alt right.” To The Economist’s credit, they retracted and apologized. But the immediate assumption that praise for, or pride in, Western civilization is a species of bigotry and racism is a perfect example of the sort of civilizational suicide I describe in my own book on the subject. So adamantine is this absurdity that some Shapiro haters actually assume he’s not actually saying he thinks the West is superior, only “tacitly” suggesting it. Ben might as well be standing in the center of Times Square waving a giant foam finger that reads “Western Civ #1” on it. But the idea is so offensive to some people they think he wouldn’t dare say it outright. I’ve covered much of this at length — book length but also in this G-File — elsewhere. So I’ll go in a slightly different direction. I’ll be generous and stipulate that 90 percent of the people who are offended by pride in Western civilization actually believe — or think they believe — in most or all of these things. They just have a problem connecting the dots, so I’ll try. Where do they think most of these ideas come from? Where were they most successfully put into action? What civilization today or in some bygone era manifests these values more? Chinese civilization? Islamic civilization? Aztec? African? Indian? Persian? Turkish? I’m not trying to belittle any of those cultures, nor deny their contributions to human history. I’m not even trying to argue – here, at least — that Western civilization is objectively superior in some scientific or God’s-eye-view sense. As with the debates over nationalism, there’s no arguing — and no reason to argue — with a French patriot about whether or not America is “better” than France. I would think less of a Spaniard who didn’t love Spain more than he or she loves France. It’s like arguing whose family is better, we love what is ours. As Bill Buckley liked to say, De gustibus non est disputandum. The irony is that the willingness to entertain the possibility that some other culture has something important to offer or say to us is actually one of the hallmarks of Western civilization (and the condescension with which many Americans treat other cultures is also a more regrettable side of Western culture). We “borrow” stuff from other cultures constantly, starting with Christianity itself. This is particularly true of America, which is why our menus read like the requested meal plans from a meeting of the U.N. General Assembly. This profound lack of self-awareness manifests itself most acutely among progressives who wear their Europe-envy on their sleeves. Oh, they’re so much more civilized over there. Well, what civilization do you think “over there” is part of? Western civilization is a work in progress because that’s what civilization means. If you want a Cliff’s Notes version of what my book was about it’s simply this: Every generation, humans start from scratch. As Hannah Arendt said, every generation Western civilization is invaded by barbarians — we call them “children.” As babies we come into the world with the same programming as Viking, Hun or caveman babies. These barbarians need to be civilized and that’s a job primarily done by families, which is why the days are long and the years are short. We teach barbarians how to be citizens in the broadest sense of the word, through formal education, religious teaching, social norms and the modeling of proper behavior. In other words, we assimilate people into a culture. As cultivating a field yields a better product, the arts and sciences cultivate us by improving the quality of who we are. No wonder, then, that when we look for a term that expresses the way we improve upon nature, we use “culture,” which has the same root as “cultivate.” And civilization—expressed in German not only as Zivilisation but also as Kultur — far from corrupting our soul, makes it possible for us to bring good out of evil. The way you sustain and improve upon a culture is by fostering a sense of gratitude for what is best about it. You celebrate the good in your story while putting the bad in the correct context. Conservatism is gratitude, and as I noted on Fox the other night, one of the most compelling things in reaction the fire of Notre Dame was seeing how many people recognized their own ingratitude for this jewel of their own civilization. The Church was in peril because the French took it for granted. But, like that feeling one gets deep in the soul when a loved one in peril, millions were overcome with a sense of what they might lose. And now France is devoting itself to restoring what was almost lost. Has Western civilization made mistakes? Sure (cue the Monty Python skit about Rome). Terrible things have been done in its name, a statement one can make about every civilization that has ever existed. But to say that the mistakes define us more than the accomplishments is suicidally stupid. And if you subscribe to those planks I mentioned above, I’d like to suggest that telling people they’re bigots for taking pride in the civilization that brought them forth better than any other is like taking a sledgehammer to the soapbox you’re standing on. And to do it in the name of virtue tweeting is one of the purer forms of asininity. Today is, depending on the Christian church, Maundy Thursday or Holy Thursday, the night of the Last Supper before Jesus Christ’s crucifixion on Good Friday. This weekend concludes Lent, during which Christians are supposed to ponder our sinful natures. The Episcopal Church, of which I am a member (though I sometimes wonder why given the actions of the national church and some of its bishops), often uses its Rite I for Lenten Masses, which uses “thee” and “thou” that wasn’t contemporary even last century. The currently most famous Episcopalian is Pete Buttigieg, mayor of South Bend, Ind., and for some reason one of the herd of Democratic presidential candidates. Independent of his sexuality, he, like nearly every current presidential candidate (including the Democrats not as famous as Comrade Bernie Sanders), claim to support socialism. Any of those socialists who are practicing Jews or Christians are promoting sin. Jesus Christ, recall, was a devout Jew, and all of Christianity comes from Judaism. Whether your description comes from Exodus or Deuteronomy, two of the 10 Commandments are to not steal and to not covet. The thief, male or female, you shall mark their hands as a punishment for their crime, and to serve as an example from GOD. GOD is Almighty, Most Wise. … incur GOD’s condemnation upon him, if he was lying. Do not withhold any testimony by concealing what you had witnessed. Anyone who withholds a testimony is sinful at heart. You shall regard the parents, the relatives, the orphans, the poor, the related neighbor, the unrelated neighbor, the close associate, the traveling alien, and your servants. One thing liberal Christians fail to grasp about the Gospel is that everything Jesus Christ tells us Christians to do — feeding the hungry, clothing the naked, caring for the sick, showing strangers hospitality, visiting prisoners — is an individual responsibility. Jesus didn’t tell churches to do those things, and He didn’t tell the Roman government to do those things; He told us Christians to do those things. Anyone who points out bad behavior of others may be reminded of the story of the woman about to be stoned for adultery whose stoning is thwarted by Jesus’ suggesting that whoever was without sin should cast the first stone. What you hardly ever hear is what He said at the end of that incident: “Go and sin no more.” Even if no longer sinning is impossible for us fatally flawed humans, that does suggest we should at least make a sincere effort to avoid that specific sin and sinning generally. You see that decreasingly often in our sinful, permanently flawed world, and I bet you haven’t heard that in church any time in your recent memory. And yet it applies in our world even after the Resurrection. Jesus Christ didn’t die for our sins so we could go on blithely sinning without consequences. This being a world full of people who suffer from excessive self-regard who don’t like to be reminded of their sinful nature, that might explain decreasing attendance in church. But our failure to “acknowledge and bewail our manifold sins and wickedness” well explains our world continuing to spiral into a toilet. Don’t like that statement? Well, as Jesus Christ said, a prophet is without honor in his own house. Monday [was] the first Tax Day under the new Republican tax bill passed in December 2017, and the results are not what Democrats and their media apparatus predicted. Many Americans are discovering that they are not only alive and well, but indeed paying less taxes. Envy is a sin. And if that’s how most Americans feel, most Americans are wrong. 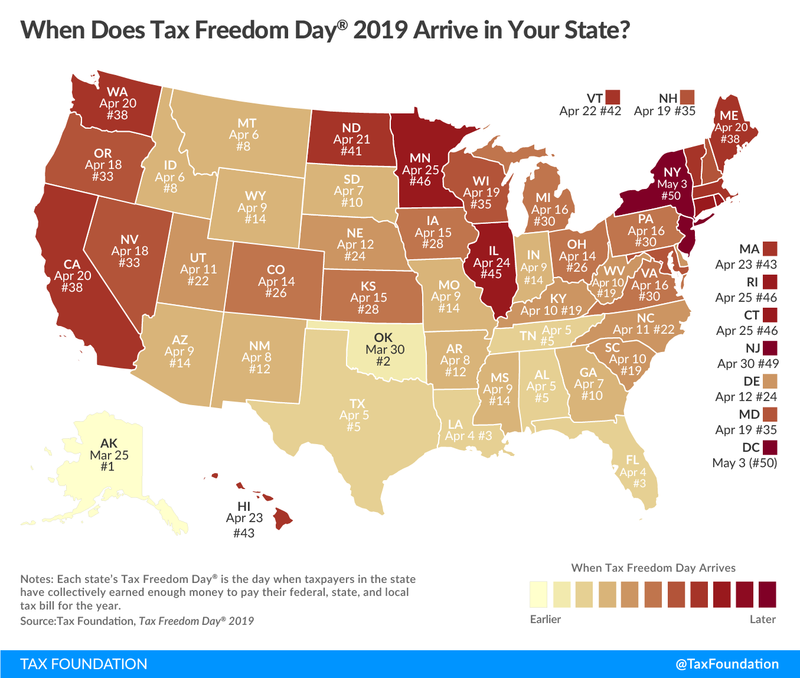 Data from the Tax Foundation shows just how ‘progressive’ the system is. 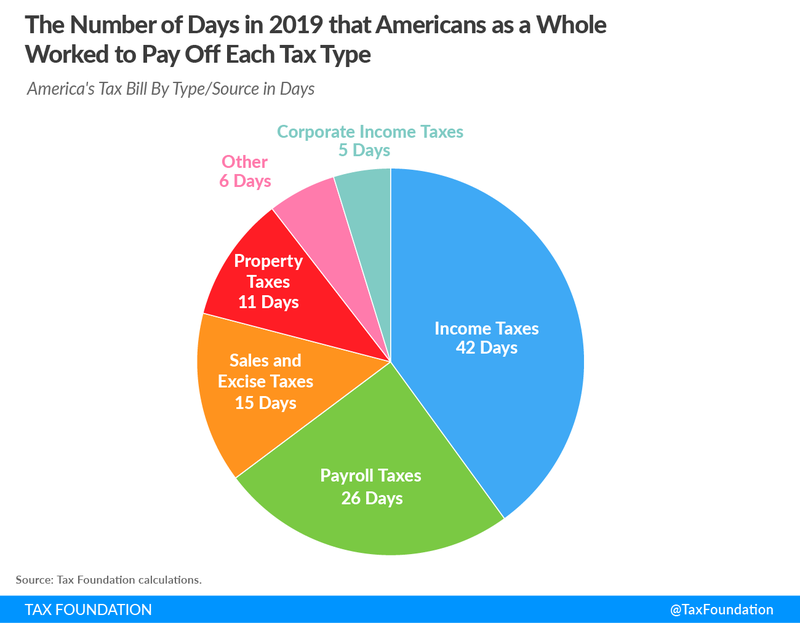 In 2016, the top 10% of income earners earned 46.6% of all income in the U.S. and paid 69.5% of the total income tax received by the federal government. The top 1% of income earners earned 19.7% of all income in the U.S. and paid 37.3% of the total income tax. In other words, the top 10% of income earners pay, as a percent of total taxes, 50% more than what they earn. The top 1% pay, as a percent of total taxes, twice what they earn as a percentage of total income. When people say that the rich should pay their ‘fair share’, how much more disproportionate those people want these numbers to be? 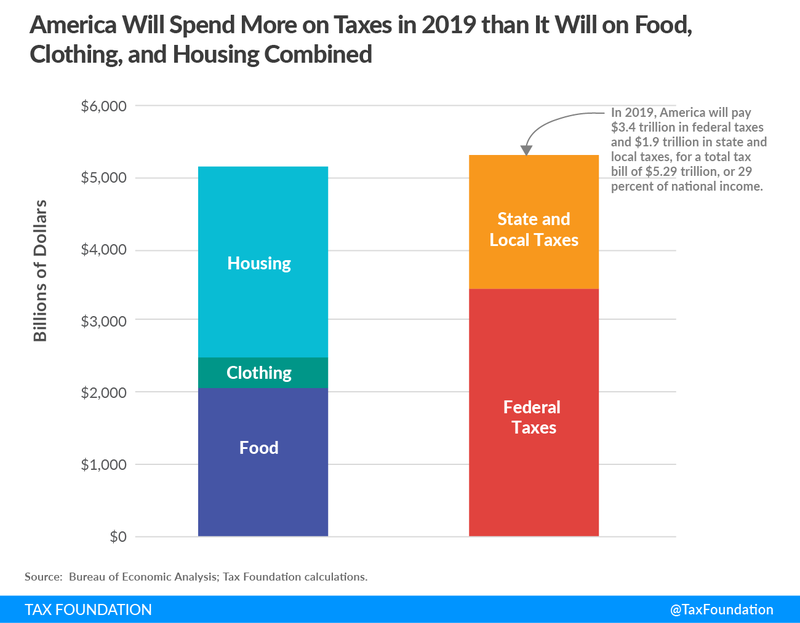 Ok, but the predictable response to this graph is that the rich don’t make most of their money off income but instead off capital gains and other sources which are taxed at much lower rates. It isn’t popular to stick up for ‘the rich’ these days. But the data shows that, generally, they work for their money. It also hows that they pay a disproportionate share of income tax. As a consequence, a tax cut is going to ‘disproportionately’ benefit ‘the rich’; they pay a ‘disproportionate’ share of the taxes.